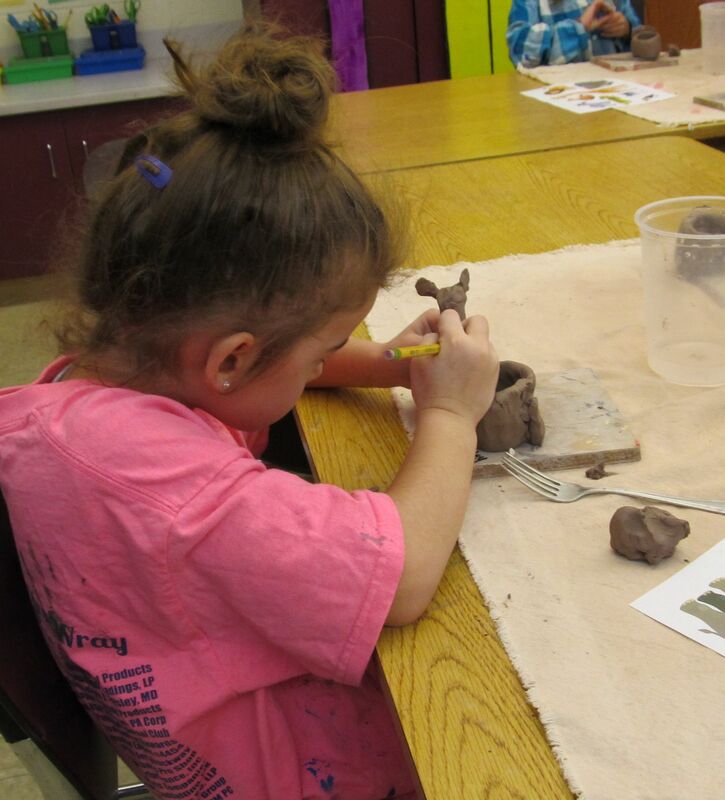 Kindergarten Students Experiment with Clay…Thanks to BCAT! A Kindergarten student at DuBois Central Catholic carefully uses a pencil to define some of the characteristics of her giraffe clay pot, made under the supervision of artists from the Brockway Center of Arts and Technology. Both sections of Emily Roy’s kindergarten art classes at DuBois Central Catholic worked with the clay specialists from BCAT recently to create an animal clay pot of their own choosing in keeping with the Noah’s Ark theme now underway for the elementary students. Roy adds, “When BCAT visited, the students also took part in a collaborative clay tile project using their thumb prints for an upcoming animal display which will be placed in the Noah’s Ark Learning Center, permanently located on the grounds of DCC.